Web designing has a wide scope in India and abroad. With the booming IT industry, web designing has a wide scope in India and abroad. One of the biggest advantage of choosing web design career is that the demand for websites is not expected to come down any time in the near future, and the percentage of individuals using the Internet is increasing day by day. In simpler terms, website design means planning, constructing and updating of websites. In technical terms, web designing is the process of creating a site, where the process involves information architecture, web graphic design, website structure, user interface, navigation ergonomics, website layout, colors, contrasts, fonts, images & icons, authoring using standardized codes, user experience design & Search engine optimization.  Our Web designing & development training program (Web D Pro) has been designed in such a holistic manner that it makes those students taking the course a thorough professional by the end of it. This web design & development course is totally job-oriented with more prominence being given to practical sessions.